Doors will be open from 16.30 hrs. 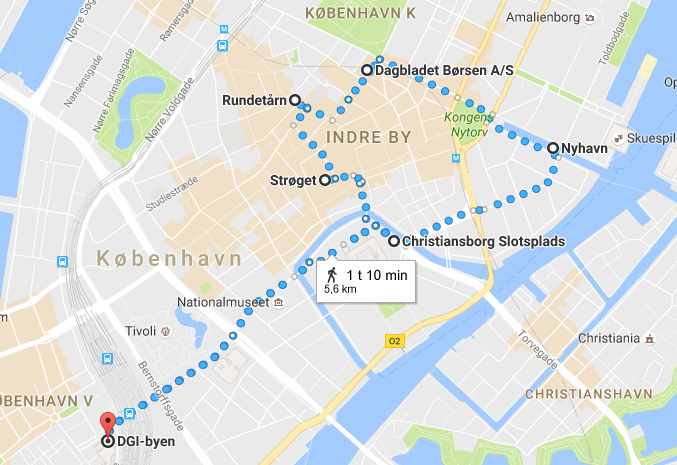 Welcome from a City Hall Representative and from Prof. Morten Breindahl, followed by a standing buffet/ so called "City Hall Pancakes"
To attend you must be registered to the event, please check your registration record to verify your attendance. The dinner cost is not covered by the congress. Each participant should pay the dinner amount in advance at the venue before September 1st at 14.00 hrs. Cost € 40,00/Dkk 297,00 (1 drink included). 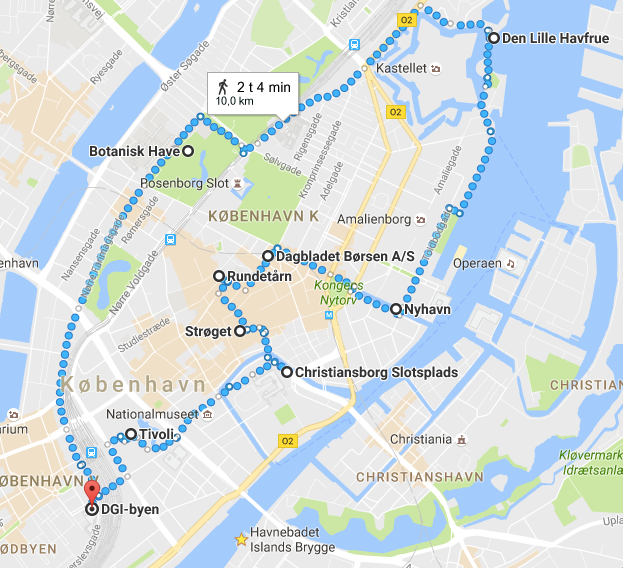 Participants will be divided in two groups running either 5 or approximately 10 kilometers in the center of Copenhagen to visit different attractions like Tivoli Gardens, Christiansborg Palace, Strøget, The Round Tower, The Stock Exchange, Nyhavn, The Little Mermaid and Botanical Garden. Please see the routes below. Time: 6:30 am. Finish at 7:30 am at latest. Dresscode: Clothes to run in and proper running shoes. 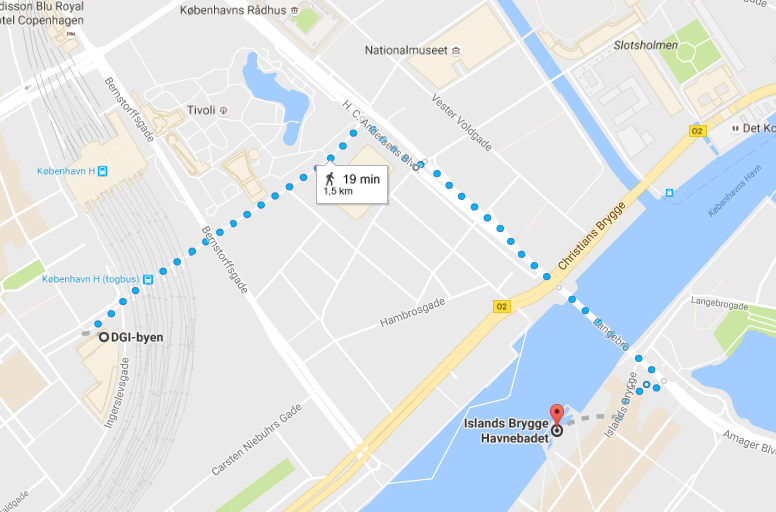 We will meet at Islands Brygge Harbour Bath. Here you can jump in the harbour from 1, 3 or 5 meter from the diving tower or have a swim in the 25 meter pool. Dresscode: Swim wear and goggles if necessary. Remember dry clothes and a towel.